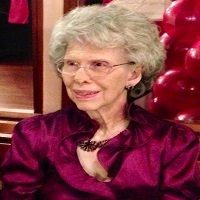 Barbara Sims Stango of Lake Wales went on to be with her Lord and Savior, Jesus Christ on Sunday, February 3, 2019. She passed away peaceably at Pretty Pond Manor in Zepherhills, FL. She was 96 years old. She was born on January 20, 1923 in Athens, GA. Within the year after her birth, her parents, Vaughn Adolphus (V.A.) and Ruth Jackson Sims moved to Lake Wales. While mayor of Lake Wales, her father participated with the dedication of the Bok Singing Tower with President Calvin Coolidge on February 1, 1929. Barbara was married to Carmine Stango of Brooklyn, New York on December 7, 1945 , staying together until Carmine’s death on March 26, 2016. She graduated in 1940 from Lake Wales High School and attended Florida Southern College. She worked for many years at the Lake Wales First United Methodist Church and later on at Johnson’s Funeral Home. She loved singing in the Methodist Church choir where she and her family attended for many years. Barbara enjoyed participating as a member with the Lake Wales Garden Club, Music Club, Starr Lake Community Club and the National Audubon Society. Her family and everyone who knew Barbara can gladly testify that she was an extremely sweet, kind and considerate lady, always putting everyone’s needs before her own. Her family also, enthusiastically agrees that her delicious Buttermilk Pancakes were the best ever! Barbara is survived by her sister, Thalia Sims Halen of Houston, Texas, her four children and their spouses: Shirley Jolly and husband, George “Butch” Jolly of Ft. Meade, FL, Charles Richard Stango of Long Beach, CA., Edith Stango and husband, Barry Tetreault of North Miami Beach, FL and Asheville, NC, Holly Thornhill and husband, Jonathan Thornhill of Zepherhills, FL. She is also survived by 16 great grandchildren and 11 great-great grandchildren. In addition to her husband, Barbara is preceded in death by her brother, Dr. Neil Sims of Asheville, NC. A Memorial Service for Barbara and her husband Carmine will be conducted by her family at the Lake Wales First United Methodist Church in March. Date and time to be announced at a later time.